All of our cotton wrapping twine is made from a blend of polyester and cotton. The exceptions are 3 and 4 ply which are usually all cotton. The all cotton construction may be broken by hand without cutting the hands. 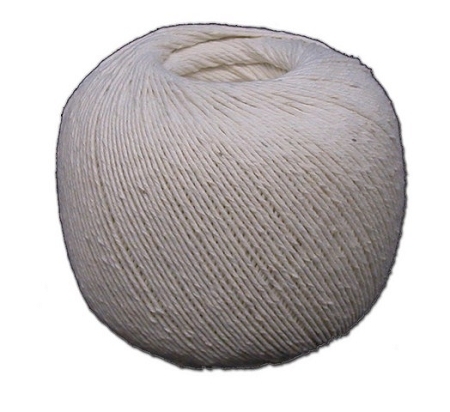 Polished cotton is made by finishing wrapping twine with all natural ingredients. The result is a smooth tying twine that doesn't flare or unravel when cut.